Sci-Fi-London has teamed up with Picturehouse Cinemas for Sci-Fi-London East 2012 to be held at Stratford Picturehouse this November and it is bringing a dazzling line up including; 3 UK Premieres; Paul Hough's debut feature The Human Race, Cory Mcabee's Crazy and Thief and Kyle Rankin’s Nuclear Family and early screenings of Brandon Cronenberg’s Antiviral as well as master classes and quizzes running from 9-11 November 2012. Director, Paul Hough, who made the award-winning short The Angel makes his feature-debut with this movie and we are delighted to host the UK Premiere. Eighty people from totally diverse backgrounds suddenly find themselves in an undisclosed location where they are expected to compete in a race with simple rules, "If you are lapped twice, you die. If you step off the path, you die. Race… or die." Will it be survival of the fittest or a show of humanity? This movie will have your adrenaline levels up there with the on-screen competitors. The Human Race makes The Hunger Games and Running Man look like a Sunday perambulation in the park. The team that brought you Wolf Creek, have returned to the Australian outback, this time to Pine Gap, the Aussie equivalent of Area 51. When all contact is lost with the compound, a heavily armoured special forces unit is sent in to find out what has happened. 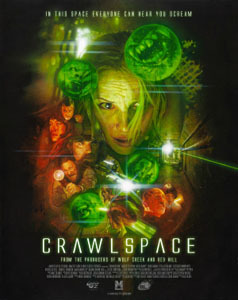 As their search takes them deeper into the bowels of the facility, they soon discover that an experiment has very gone and not everything is as it seems. Even the bravest find out there are still things to fear. Intense and claustrophobic. For the past five years, the festival has run a 48hr film challenge. We gave each participating team THE TITLE, SOME DIALOGUE and a PROP LIST, then send them off to make a complete 5 minute short film in just 2 days! The results have been amazing and so far spawned one successful feature (Gareth Edward’s MONSTERS). We run the challenge again in April 2013, but here is a chance to see some of the amazing films made over the years. Come and listen to David talk about his work and his love of post-apocalyptic fiction. Wingrove is the writer of the Myst trilogy, based on the internationally best-selling computer game, as well as having produced several works of science fiction criticism, including (with co-author Brian Aldiss) the highly-acclaimed Trillion Year Spree: The History Of Science Fiction – winner of the prestigious Hugo and Locus awards. Married to scriptwriter and novelist Susan Oudot, he lives with his family in Islington, where he is currently working on a re-packaging (in twenty volumes) of his Chung Kuo series, as well as producing Roads To Moscow, an ambitious time travel trilogy. Two bus crash survivors share the same dream whilst in a coma. In their parallel world their small town is besieged by a black, ominous mist, inside which are monsters guarding all exits from the town. They must form an alliance to discover where they are and find a special key that will help them escape as well as unravel the truth behind their extraordinary situation. Are they dead? In an alternate dimension? Is it all a dream? Some combination of each scenario? That's the guiding force behind AFTER, which takes its time developing the mystery and the relationship between Ana and Freddy. As the couple scavenge houses and attempt to find a way out of the town, they learn that they are not alone.. there's something else present, and it's got big, nasty teeth. Ostensibly a biting satire on the contemporary obsession with celebrity culture, this near-future set parable from Brandon (son of David) Cronenberg is as much a warning about the powers, and inherent dangers, of the big pharmaceutical corporations. Competing private clinics specialise in infecting fans with genetically modified illnesses harvested directly from celebrities, so they can become closer to their idols. When salesman Syd March infects himself with the latest virus, things take a totally unexpected turn. Fans of the senior Cronenberg's earlier work (such as eXisTenZ) will recognise the DNA, but this has its own fresh twist that will taunt you to look away while keeping you fixated with what is unfolding on screen. From Cory McAbee, the director of SFL favourites American Astronaut and Stingray Sam, comes his latest cinematic adventure. 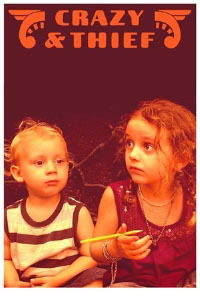 With only a homemade “Star Map” and their own imagination to guide them, a brother and sister take a fantastical journey through the real world in this ode to the innocence of being a little kid. Once again McAbee delivers, in his inimitable style, a beautiful looking film with a great original soundtrack. Not only will we be showing the film but Cory will also join us for a Q&A and post-screening live music performance. 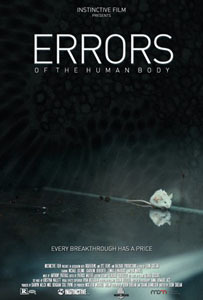 Following similar concepts to Antiviral, this directorial debut from the writer of the incredibly bleak The Divide (SFL Oktoberfest 2011), explores the world of controversial human genetic research, where scientific ethics are abandoned for more self-serving motivations. Set in Dresden, Germany the film looks cold and the plot is chilling as the devastating secrets of what is happening are revealed. It may not be the most uplifting film of the weekend, but it brilliantly captures our suspicions and fears of what is really going on in laboratories in the name of scientific advancement. SCI-FI-LONDON’s notorious anime night makes its debut in Stratford with five amazing new movies. 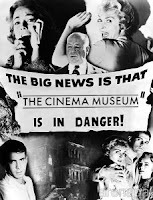 Your chance to see some amazing images and bizarre tales, allnight! DJ in the bar from around 10.30, some goodies and a few prizes... if you love Anime, don’t miss these movies! No SCI-FI-LONDON festival event would be complete without our continued support for Mystery Science Theater 3000, the show that ran for 11 years in the USA, while sadly never getting a proper release in the UK. If you have never been to an allnighter before, we recommend you try this - you will not stop laughing, allnight! Disney's attempts to introduce sci-fi to their core audience didn't always meet with the same success as their more traditional fare, or those from competing studios, but that doesn't mean they lacked imagination. 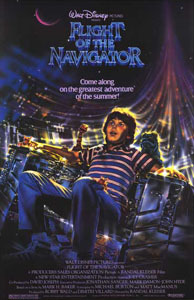 However, Flight of the Navigator has everything you could want from a child-friendly sci-fi: young, identifiable hero; time travel; alien spacecraft, and a wisecracking robot. 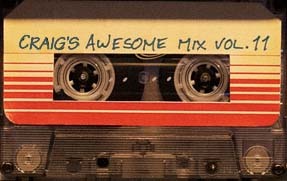 A strong ensemble cast, a classic '80s soundtrack, and dazzling special effects make this a perfect Sunday morning adventure treat for the whole family. A 12 year old boy goes missing in 1978, only to reappear once more in 1986. In the eight years that have passed, David hasn't aged. It is no coincidence that at the time David 'comes back', a flying saucer is found, entangled in electricity cables Picturehouse Kids Club members get in for just £1.00 - so bring the family! 1:00pm SURVIVAL MASTERCLASS WITH VINAY GUPTA. If some cataclysmic event happened right now, would you know what to do? Can you make sure that you and your loved ones survive for at least one month after the apocalypse? Brought to you by SCI-FI-LONDON and the post-apocalypticbookclub.co.uk come take Vinay's Survival Master Class to make sure you have the upper hand when the 3 minute alarm goes off. You will never look at your weekly food shop the same again! A world leading thinker on infrastructure and state failure solutions, Vinay Gupta has worked extensively with the government, military, large companies, think-tanks and the free and open source community to solve real problems concerning resource scarcity due to over population, war and natural disasters. He is best known as the designer of the Hexayurt which is an award winning replacement for the disaster relief tent. What better way to spend an autumnal Sunday afternoon than in a hot cinema, pitting your wits against like minded nerds as you try to survive a Post-Apocalyptic quiz. Held in association with post-apocalypticbookclub.co.uk - we challenge you to answer tough questions from the worlds of film, TV, literature, graphic novels and computer games, all with a distinctly ‘end of the world’ bent. There are some great prizes on offer, which may not include a cricket bat, shotgun or gas mask... or anything that might actually help you survive the aftermath! John and Lynn, a young couple are about to sign divorce papers when a mysterious mega-explosion suddenly finds them struggling to survive in a lawless society. While desperately searching for their missing child (who was lost amid the apocalyptic chaos), they run up against THE MAN, the leader of a brutal, ruling clan... and they soon learn things are not as they might appear. Stars Corin Nemec, Danielle Harris and Ray Wise. 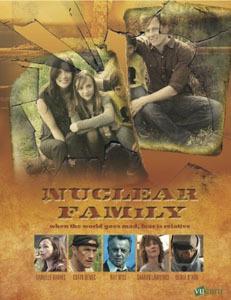 Quality post-apocalyptic stuff with a great cast! The film will be introduced by Vinay Gupta, survival expert and designer of the Hexayurt, a post-disaster temporary shelter. 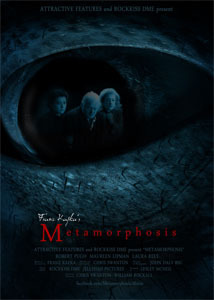 One hundred years after Kafka wrote his famous novella Metamorphosis, about a traveling salesman who wakes up one morning, after disturbing dreams, to find himself transformed into a giant insect-like creature, is brought to the big screen by debut director Chris Swanton. In this delicately crafted film, Gregor the bug (with voice by Paul Thornley) is surrounded and supported by a fine cast of British actors, notably Robert Pugh as the baffled father; Maureen Lipman as the fearful, but devoted mother; and Lara Rees as the violin-playing sister who grows impatient with her transformed sibling. This surreal symbolist tale addresses many questions about our existence. The various themes of the weekend's films are all brought together in this gravely stylish vision of a dystopian future. 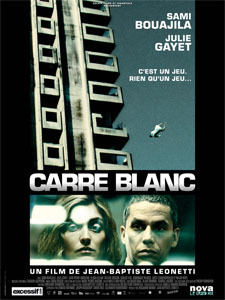 Jean-Baptiste Leonetti’s debut feature internalises the seemingly disparate influences of Luc Besson, Jean Luc Godard and Park Chan-wook to fashion a French society run by a mysterious, arbitrary caste system. Protagonist Philippe negotiates the “game” inside an urban machine that turns its victims into hamburgers, and is ultimately forced to choose between his meteoric rise and his marriage. The Establishing Shot: SCI-FI-LONDON EAST STARTS 9TH NOVEMBER!